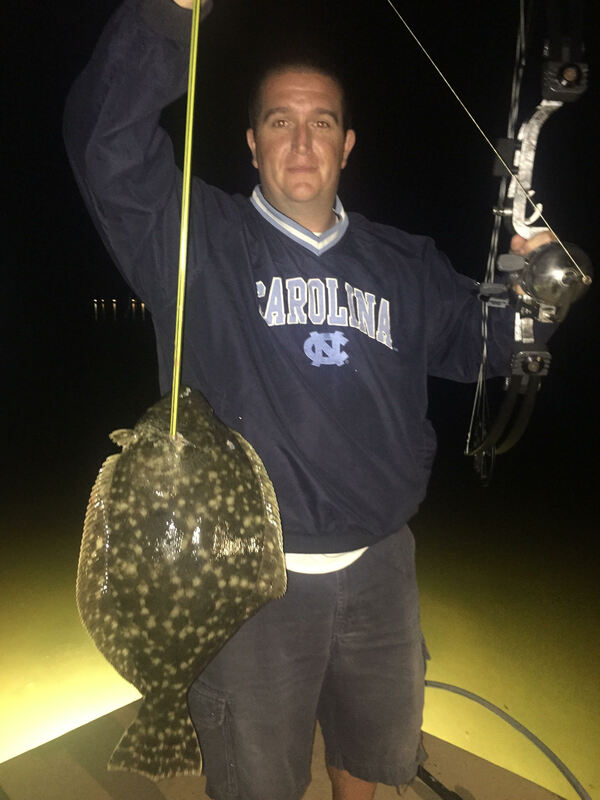 Flounder Gigging and Bowfishing Charters take place in inland marshes, creeks, and flats located at Carolina Beach, Topsail Island, Sneads Ferry, Surf City, Wrightsville Beach, Bald Head Island, or Southport. 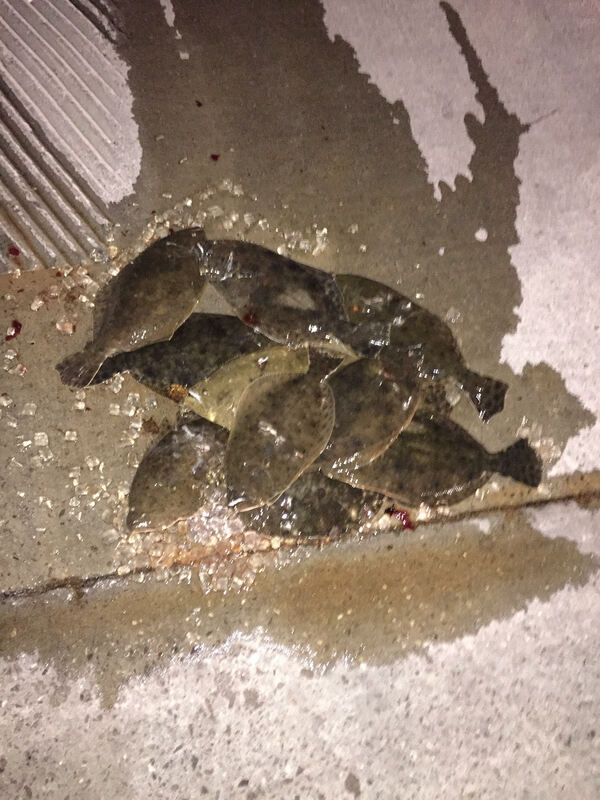 The southern coast of North Carolina is well known for it’s exceptional, world-class flounder gigging. 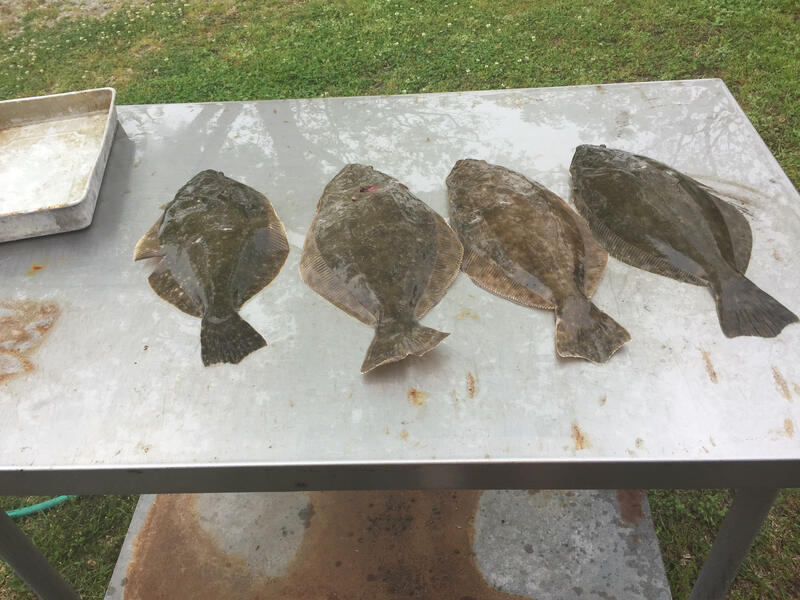 During trips we will use a trolling motor to guide the boat and state of the art lights to illuminate the water so we can locate the tasty flatfish. 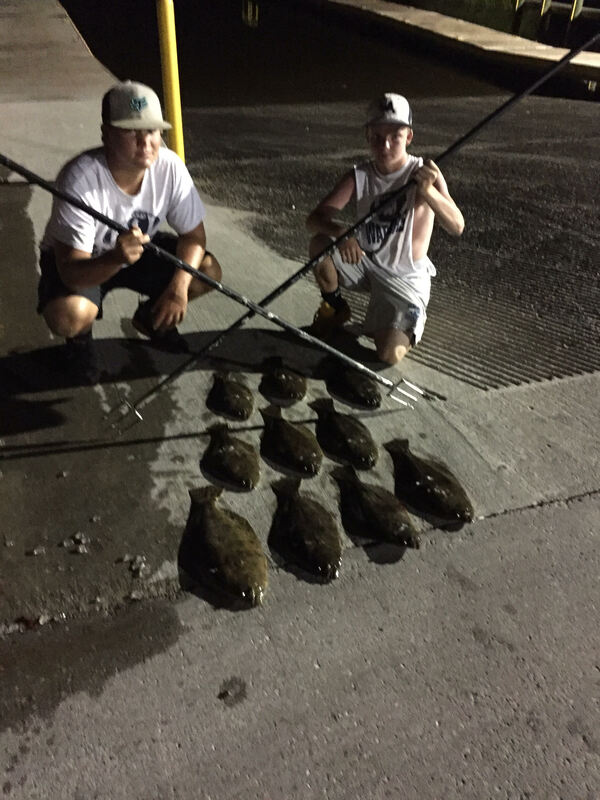 Flounder gigging and bowfishing trips usually begin just before sun down and last 4 hours, which can be extended if requested. 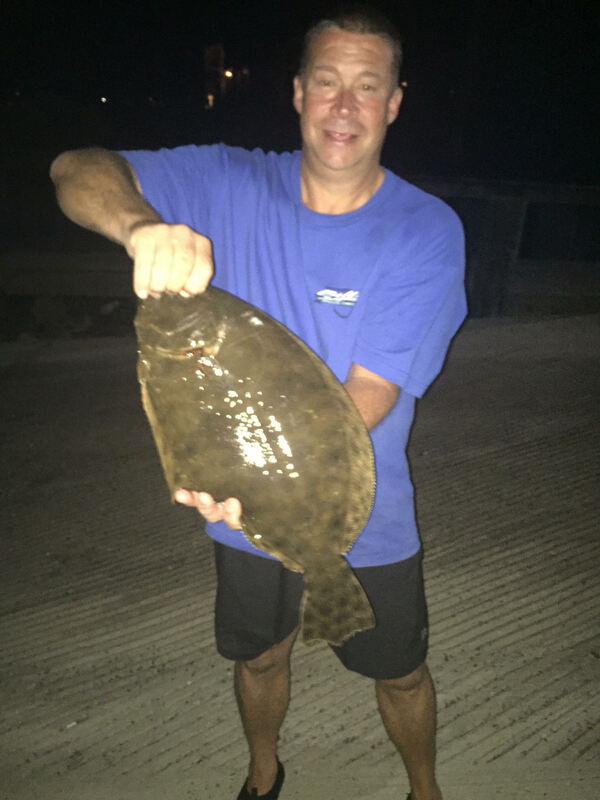 Experiencing a flounder gigging or bow fishing charter is a must do for anyone vacationing or visiting the Wilmington and surrounding beaches. 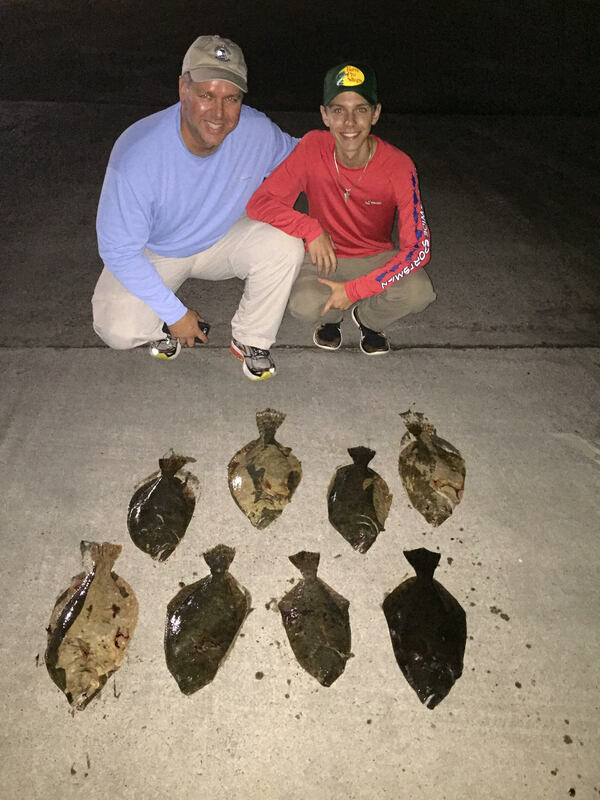 We can do flounder gigging and bow fishing during the same trip. 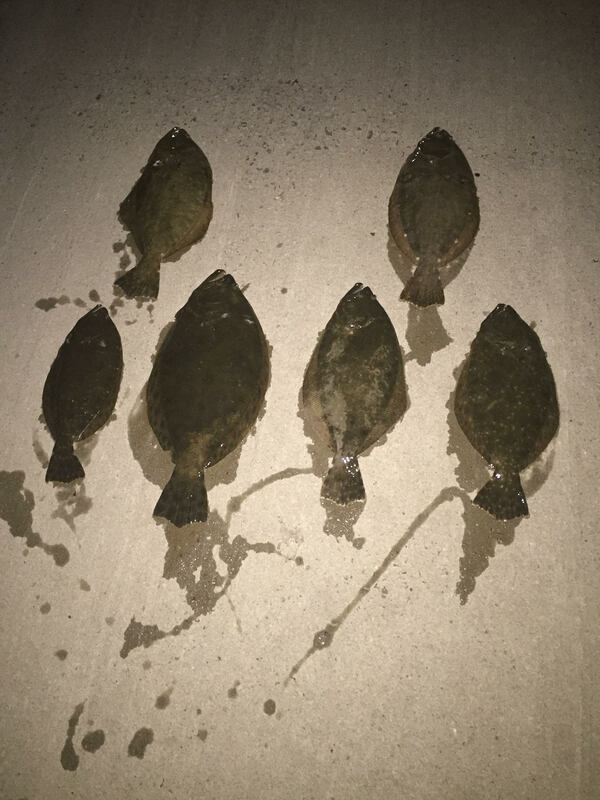 Flounder gigging is one of my favorite charters because you actually get to observe what is going on under the water and you never know what you may encounter. 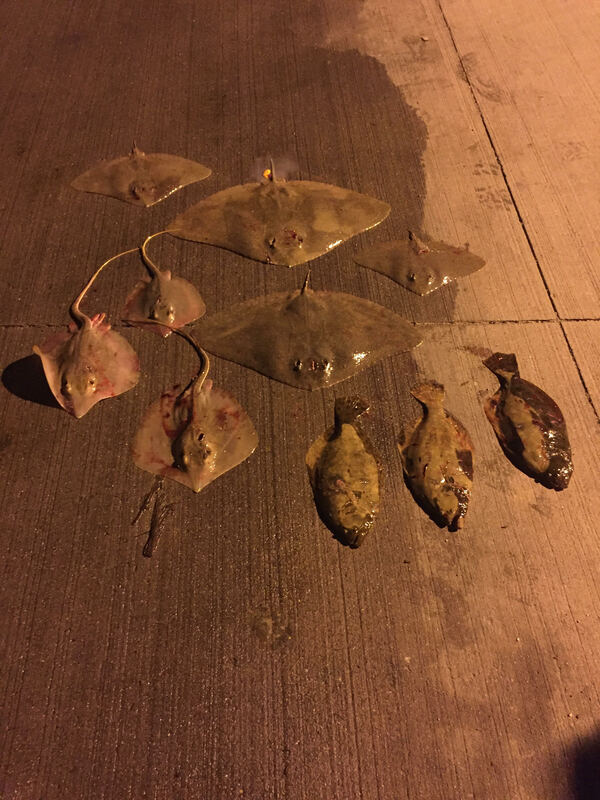 You will encounter all type of marine life including crabs, sting rays, flounder, redfish, sheepshead, sharks, and much more!!! 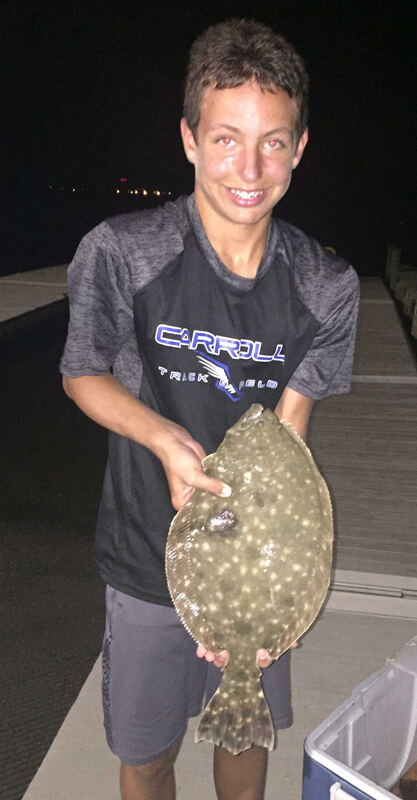 This type of charter is perfect for families, especially kids, because there is always something going on to keep your attention and adrenaline pumping. Be prepared for some fun late night action that will create memories that last a lifetime! 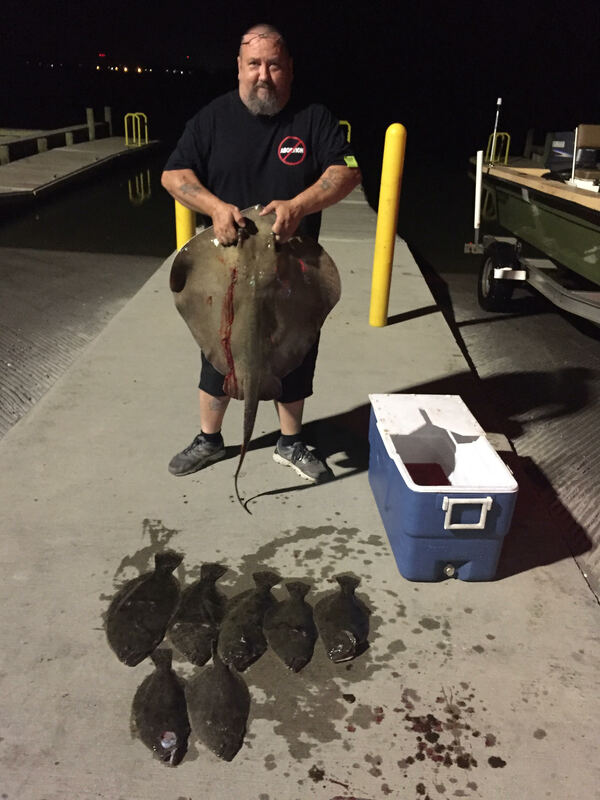 Bow Fishing Charters take place in the same areas as flounder gigging since you are targeting similar species. 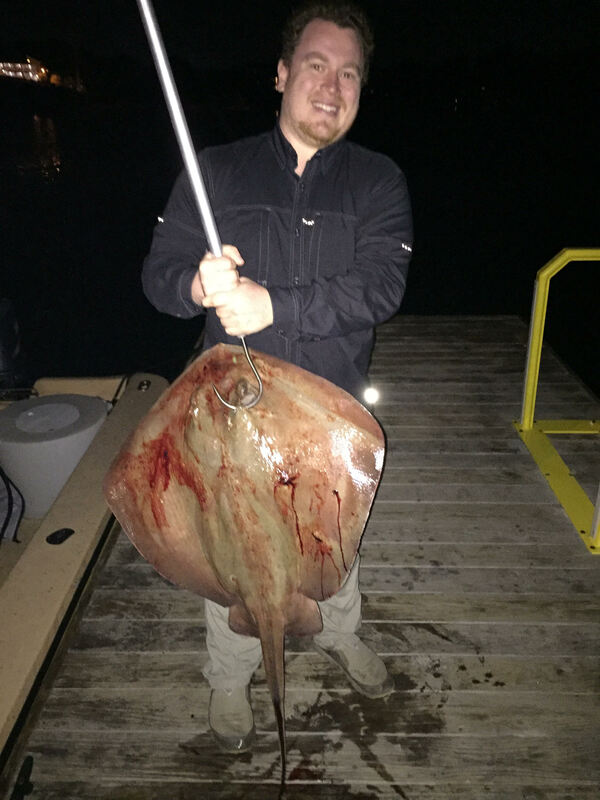 The same lights and setup are used when bow fishing. I have three bows setup to accommodate all ages and skill level of shooters. You are more than welcome to bring your own bow, most avid shooters do. 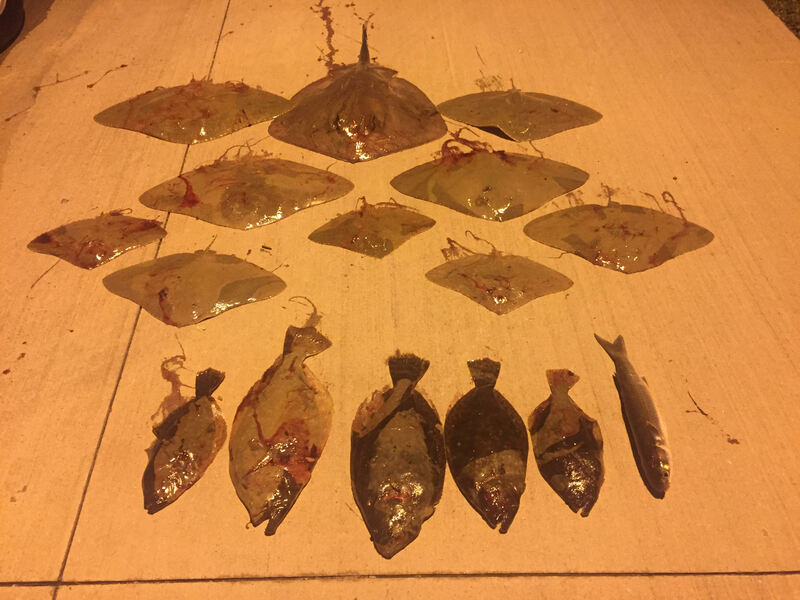 Not only will we be targeting flounder, but we can shoot anything legal such as stingrays, trout, mullet, and others. 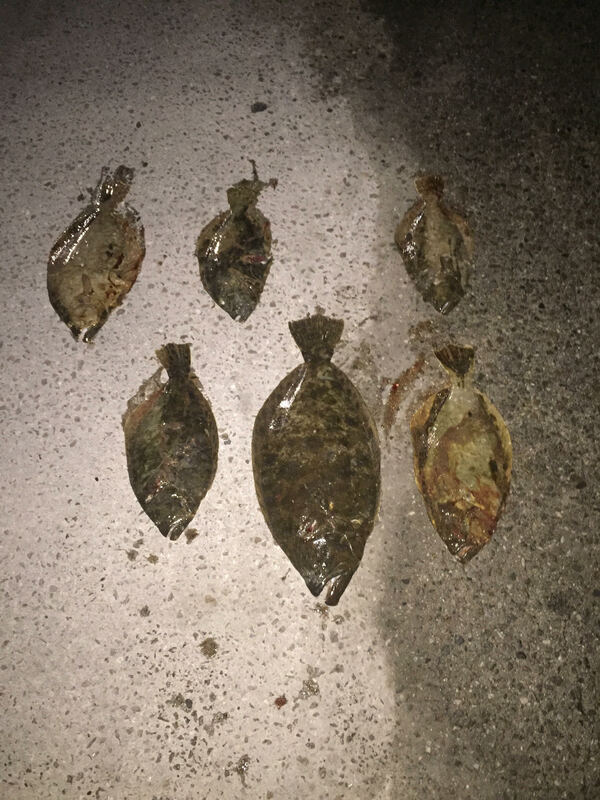 Red drum are the only species you are not allowed to gig/shoot. 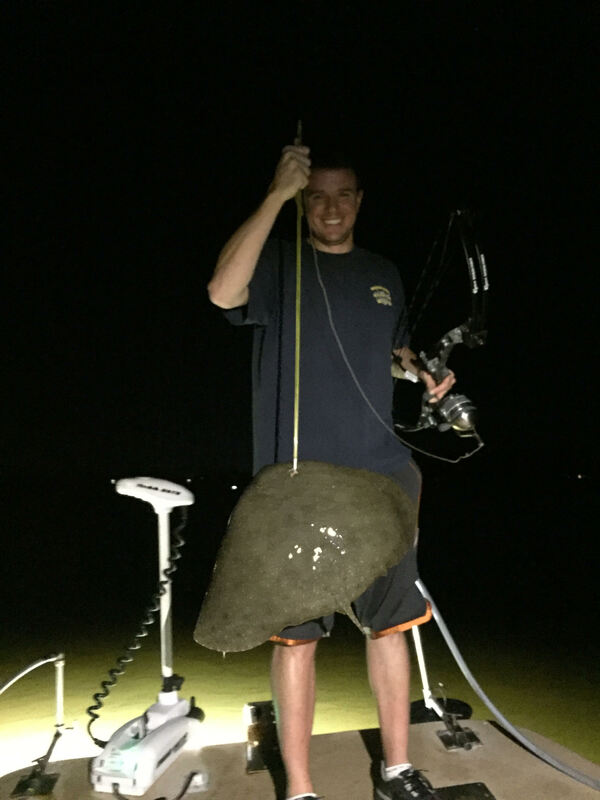 Saltwater bowfishing is so much fun and there is never a dull moment. This is fun for kids/beginners and all skill level of shooters. No prior experience necessary.